Sept. 10, 2014, 5:45 p.m.
Yay! Since the first one went over so well, I'm making this a more regular thing. If you missed the last one and are curious as to what's up, you can check out the stream vods here and here. 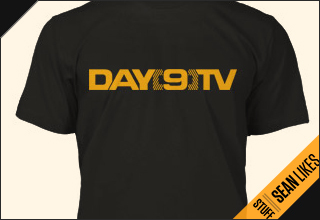 The TLDR version of this is that I'm running a festival for SC2 games for the lovely community here at Day9tv. There are raffles for prizes (usually game codes and the like) and last time we even had Day9 himself show up to hang out for a couple hours. The entire event is hosted on one day and we use a Raidcall channel (8401093) to manage the whole thing. This time around I'm looking to run a more organized event so that people can play the games they want, when they want to, and without interruption from third parties. I have taken a lot of feedback under advisement and I'm working towards making this next festival better than the last. That being said, I am looking for a little bit of help. If you're interested in giving some kind of hand leave me a message on Skype at gm.faustus with your name and what you're interested in helping with and I'll get back to you AFAP. Also if you would like to donate some kind of prize to the pool message me at the same Skype and I'll also get back to you AFAP. PS: Kinda trying to work on getting TF2 games set up for this one, but no promises.